An effect limited only by your imagination. Included with the routine are three routine theme possibilities, but you're not limited by these. You choose a spectator that you want to assist you in a demonstration. You mention that before they come up to help that you want to make sure there is a connection between the two of you. 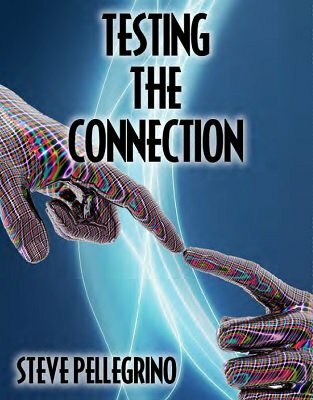 To test this connection you're going to try a quick experiment. You display an envelope, which you state contains 5 photographs of different destinations and in a moment the spectator will choose one. Before she does, you write down your prediction on a piece of paper, which will stay visible. The spectator can choose any photo they wish just by telling you to stop. One at a time you remove the photos from the envelope and they say stop, stopping at a photo of London (as an example). You turn the paper around to show you've written London. The connection between the two of you has been tested and obviously works! The colors and object can be used to change the patter towards a personal reading themed presentation. You are not limited by these. Nothing is forced. They have a free selection and you can use other images. These are provided for your convenience to help get you started. The photos will fit into a 6x9 envelope. It will only take you a few minutes to put this together and once you do, it's always ready to go. Since it packs flat, you can make up several of them and easily carry them in your case.